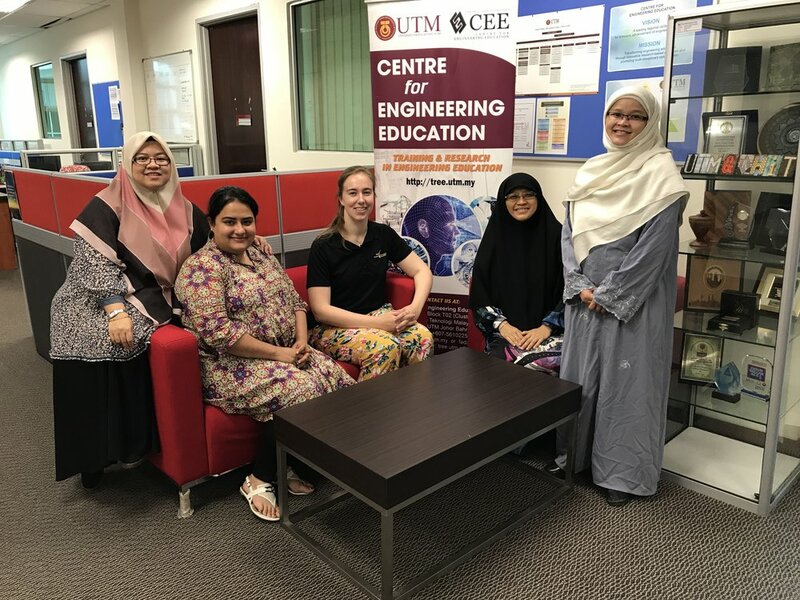 Conducting focus group with Malaysian engineering students in the library at Universiti Teknologi Malaysia (UTM) in Johor Bahru. Interviewing an engineering faculty member at the UTM campus in Kuala Lumpur. Presenting the certificate of participation to a practicing engineer participant in Kuala Lumpur. 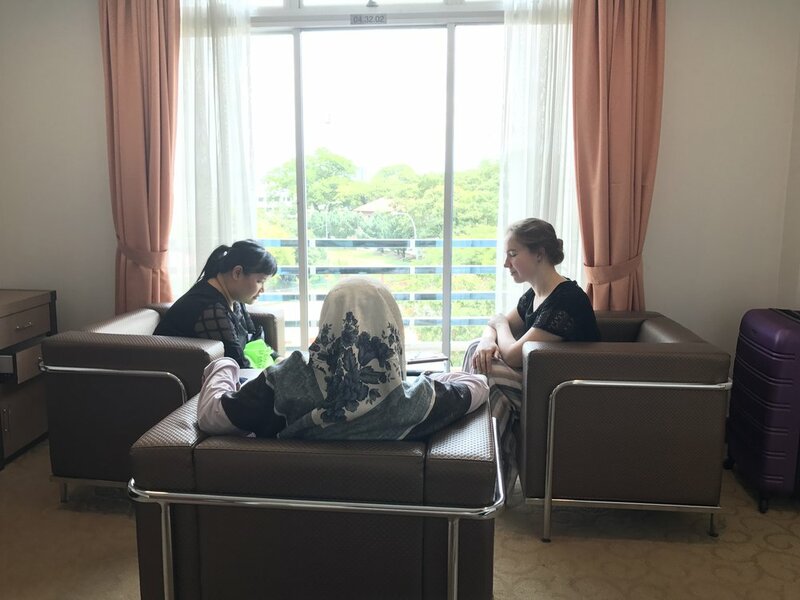 Jennifer DeBoer interviewing a practicing engineer in Kuala Lumpur. Interviewing engineering students at the UTM campus in Johor Bahru. 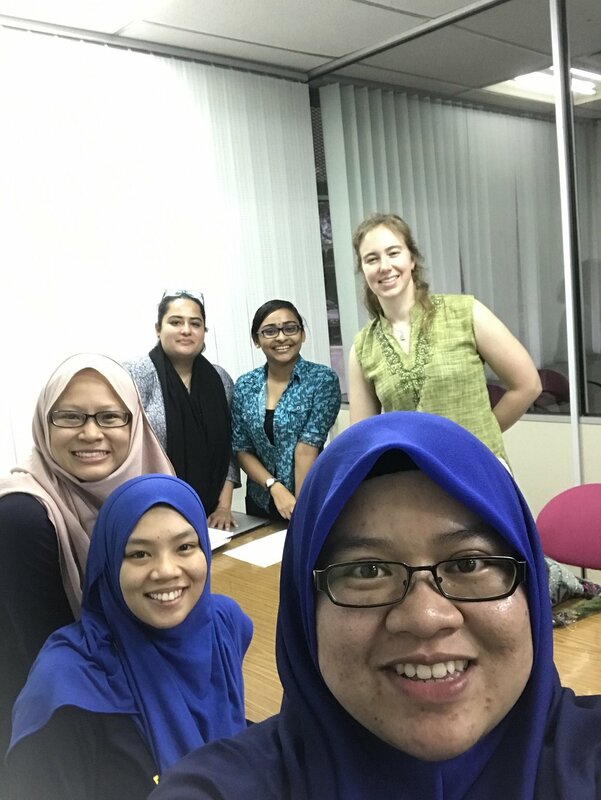 Posing for a casual selfie with Zulaikha, the local PHD student student working with us on this project. Asian peace at the career carnival. Conducting a focus group interview with chemical engineering faculty members at UTM in Johor Bahru. Conducting a focus group interview with mechanical engineering faculty members at UTM in Johor Bahru. 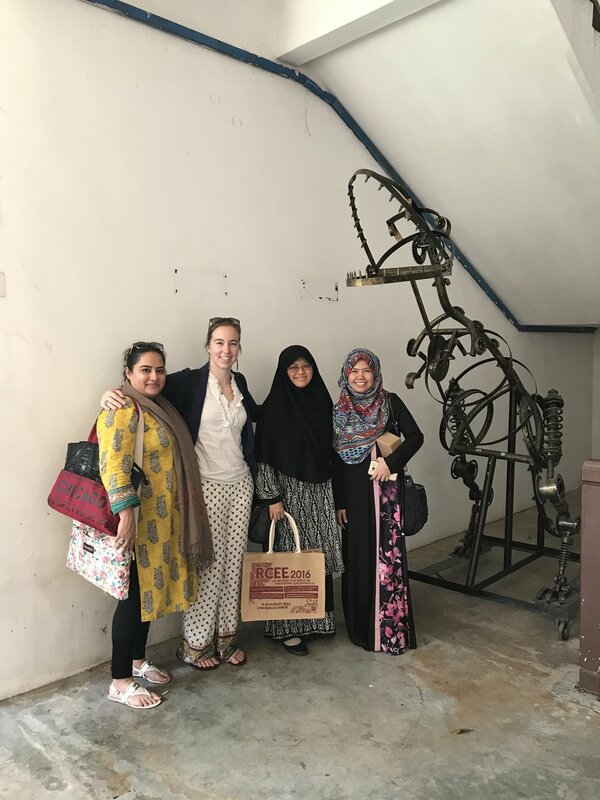 Posing outside the mechanical engineering building, next to the mechanical model of a dinosaur. Interviewing students at the UTM Johor Bahru campus. The students were fascinated by the penny, hence we labelled this picture as “American penny and Asian peace”. 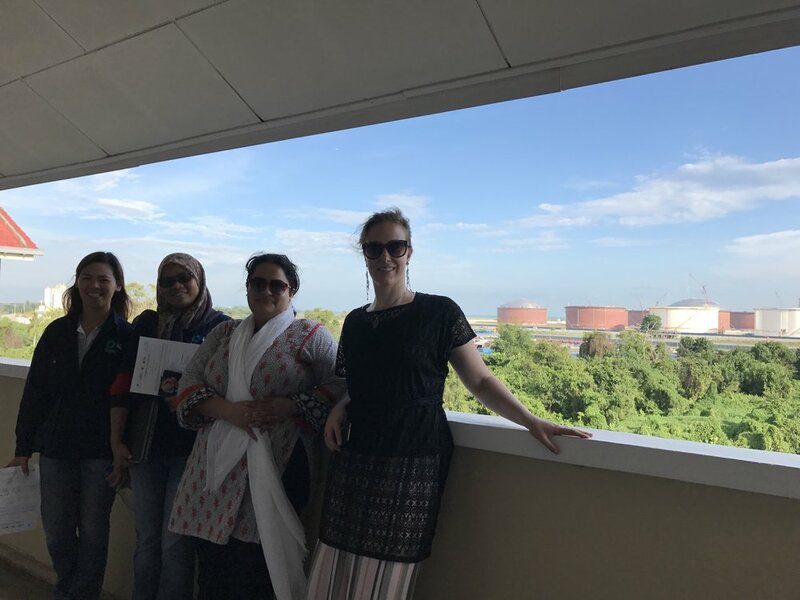 Interviewing practicing engineers at a deep water terminal in Pengarang. Posing for an after-interview picture with the practicing engineers at Pengarang. The gargantuan containers in the background contain thousands of gallons of oil. 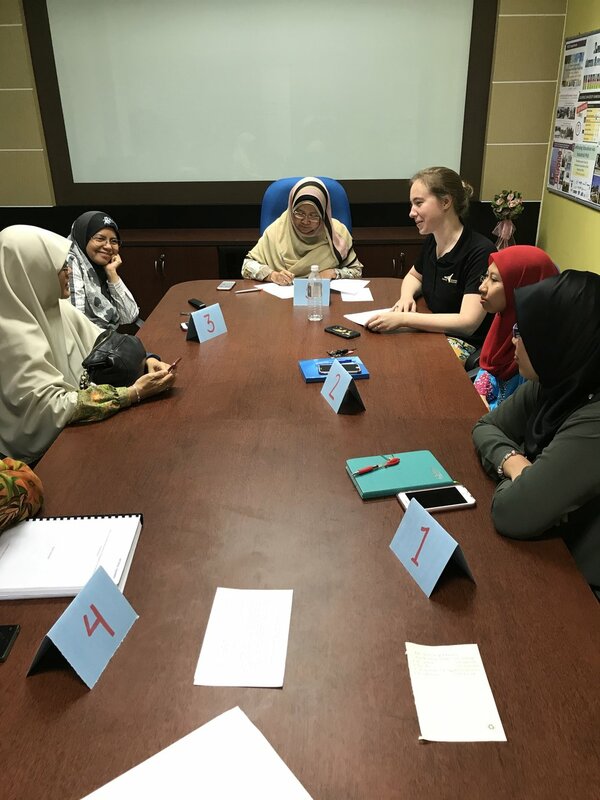 Jennifer DeBoer interviewing a practicing engineer in Johor Bahru. Posing with our local team before leaving for the US.